I love reading business and marketing books--at least ones that are pithy and make sense. I can't explain why, exactly. I guess I am always looking for ways to become a better leader and visionary. Maybe I just enjoy marketing and business books. Here's the thing... Sometimes I read business-oriented books that are difficult to grasp, and full of so much data (business people seem to dig data) that I find myself growing old just holding the dang book. Who cares if your data suggests that 67% of all CEO's in America didn't attend an Ivy League school? Who cares if you data suggests that the 5 key components of a successful marketing campaign all begin with the word "R?" You are boring me. Jason Fried and David Heinemeier Hansson are the founders of 37Signals, a company that provides web-based business tools that are easy to use and inexpensive to boot. 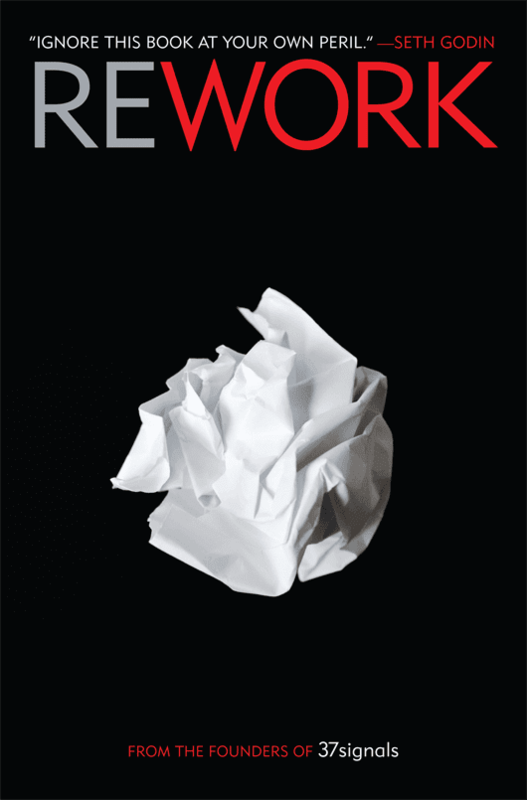 Rework is their business manifesto. And it's a good one. Trade the dream of overnight success for slow, measured growth. It's hard, but you have to be patient. you have to grind it out. You have to do it for a long time before the right people notice (196). Rework is irreverent at times, unorthodox and full of visual illustrations of each chapter's lesson. It's the kind of book that every leader, business owner, entrepreneur (the 37Signals boys hate that word), pastor, CEO, whatever needs to read. Marketing mastermind and open source leadership guru Seth Godin provided the following quote that is right on the top of the dustcover: "Ignore this book at your own peril." 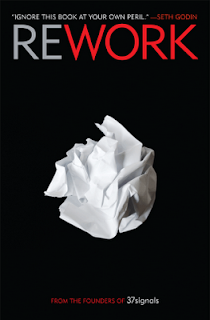 You can buy your copy of Rework by clicking on the link above and left.